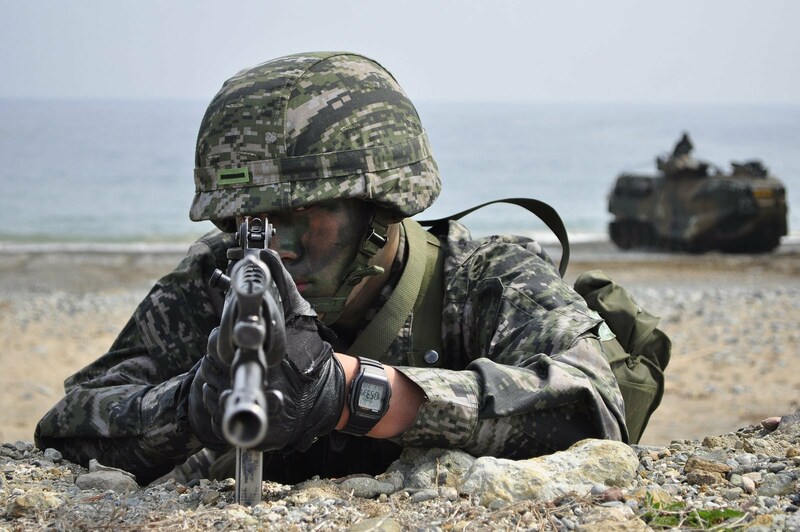 US-South Korea Began With War Exercises. US And South Korea Launched 5-Days 'Vigilant' Massive Military Drills On 5 Dec 2017. U.S. and South Korea Begun Largest Air Superiority Drill Amid High Alert. 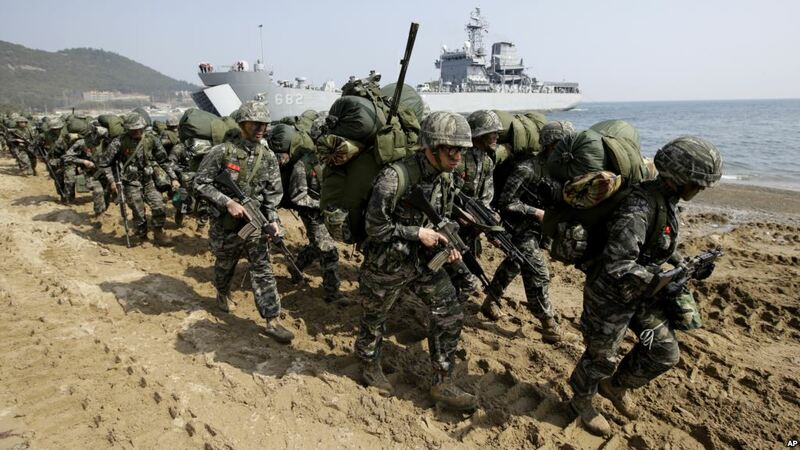 South Korean and US troops began large-scale on the already most tense Korean peninsula. "If necessary, the president and the United States will have to take care of it, because he has said he's not going to allow this murderous, rogue regime to threaten the United States with the most destructive weapons on the planet," McMaster said. Some 28,000 U.S. military personnel are stationed in South Korea — many with their spouses and children. As tensions on the peninsula heat up, Sen. Lindsay Graham, R-S.C., is urging that U.S. military dependents be moved out. Mean while US-South Korea's military is underway, China has also staged military drills near North Korea in a defiant warning to Washington and Seoul that it will uphold a “balance of power”, a military expert said, amid ongoing US-South Korean war games. The Chinese exercise in the Yellow and East seas near the Korean peninsula follow the launch of joint drills by the US and South Korea involving dozens of stealth jets and the simulation of precision attacks. There were no details on when the drills took place, but Mr Chen said the manoeuvres involved “fighter jets, early warning aircraft and surface-to-air missile forces.” “The Chinese air force will conduct high-sea exercises under combat conditions on a regular basis,” the spokesman added. The drills come amid heightened tensions in North-east Asia, with sources from both the US and North Korea saying over the weekend that the possibility of war is growing every day. China has grown increasingly frustrated with the North’s nuclear weapon’s program, but the two countries are historic allies and maintain strong trading links. Wei Dongxu, a Beijing-based military analyst said the Chinese drills were aimed at warning the South Korean and US military they would be expelled from Chinese airspace. They also sent a more general message to Seoul and Washington, he said. “China is showing that it can uphold the balance of power in the region."